Winter Park Resort is an alpine ski resort in in the Rocky Mountains of Colorado. It is Colorado's longest continually operated ski resort featuring over 3000 acres of award-winning terrain. As a year-round resort, Winter Park Resort operates the lifts during the summer months for mountain biking and features miniature golf, a climbing wall, and other attractions at the base areas.. The goal was to invite customers to come back again and again. Families come to the world class ski runs at Winter Park Resort, but they may not think about the activities they can do all year round. We developed a direct response marketing strategy, that featured the best rates of the season while also showcasing the world class restaurants and resort attractions. During the fall and winter months we led with the fresh powder and weekend ski and snowboarding packages, as well as touted the wonderful night life. 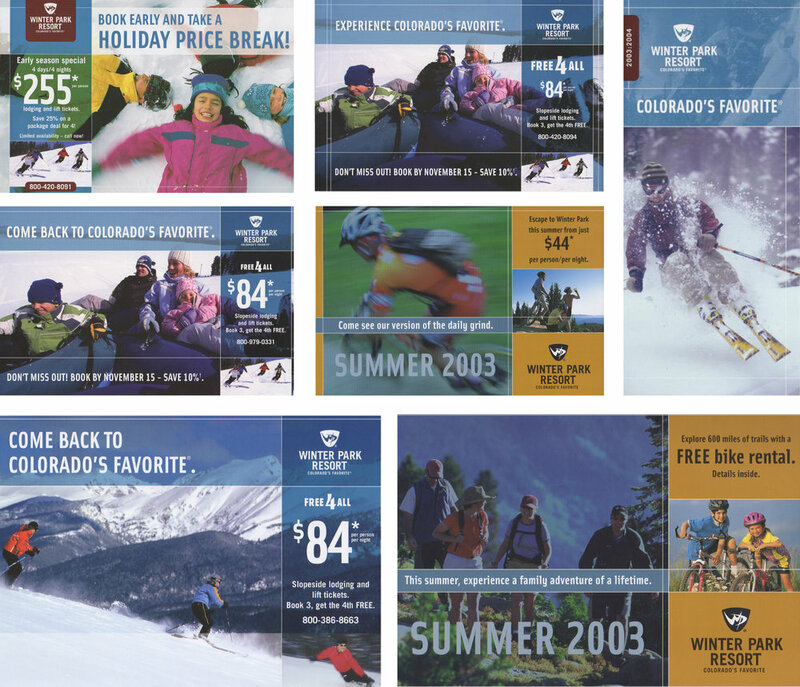 During the spring and summer months we promoted the fabulous mountain biking and nature trails that make Winter Park much more than just a ski destination. The noticeable success came in the non-peak season, when families found Winter Park to be a great locale for a quick summer getaway that was fun, budget friendly and beautiful.